This is truly sad news. According to Deadline, Still Alice writer and director Richard Glatzer died Tuesday at age 62, of complications related to Amyotrophic lateral sclerosis, or, as its colloquially known, ALS. Glatzer most recently wrote and directed Still Alice, the film for which Julianne Moore took home the Best Actress Oscar for in 2015. Glatzer's death follows a February Facebook post from his husband and filmmaking partner Wash Westmoreland, who stated that Glatzer was taken to the hospital due to respiratory issues. Glatzer later went into cardiac arrest, and afterwards had trouble communicating. According to the post, Glatzer and Westmoreland watched the 2015 Academy Awards from Glatzer's hospital room and saw Moore take home her Oscar just weeks before the writer/director passed away. Glatzer's death is heartbreaking — not only was Still Alice his most notable work, but it was also the one that shed light on Alzheimer's, a disease that is often stigmatized and misunderstood, much like ALS. Glatzer's struggle with his own illness made his work all the more special and real, and while it's amazing that he saw his film take home an Oscar, it's unfortunate that he had to go so soon after such an important success in his career. He may have lost his battle with ALS, but Glatzer's life was full. Here is why we should all know Glatzer's legacy, both as a man and as a filmmaker. He was an HIV/AIDS activist. According to a statement from Glatzer and Westmoreland's spokesperson, Glatzer was a "committed HIV/AIDS activist" who "organized many fund raisers in Los Angeles in the early nineties." Glatzer made the independent film Grief in 1993, which was inspired by the loss of his partner of 7 years, Donald Ray Berry, who died of AIDS related complications. 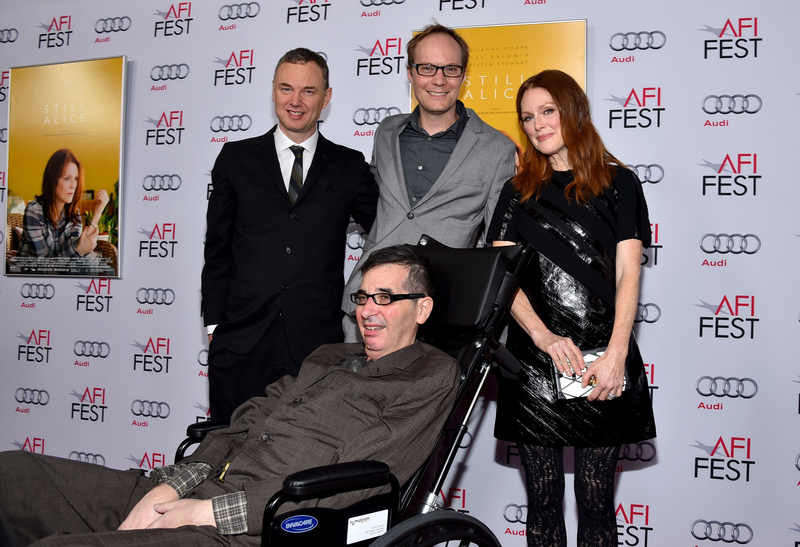 As for Still Alice, Glatzer told NPR that it was a challenging piece to work on considering his own battle with illness: "It just cut too close to the bone. But once I’d finished [reading Lisa Genova's novel on which the film is based] I felt determined to make Still Alice into a movie. It really resonated with me." Glatzer and Westmoreland made Quinceanera in 2006, a film about a pregnant Latina teenager growing up in the Los Angeles neighborhood of Echo Park. Though he has an independent film background, Glatzer also worked on a surprisingly mainstream TV show — America's Next Top Model. He acted as a producer on the series from 2007 to 2013. As Moore lovingly recalled in her Oscar acceptance speech: "When Richard was diagnosed with ALS, Wash asked him what he wanted to do. Did he want to travel? Did he want to see the world? And he said that he wanted to make movies, and that’s what he did."